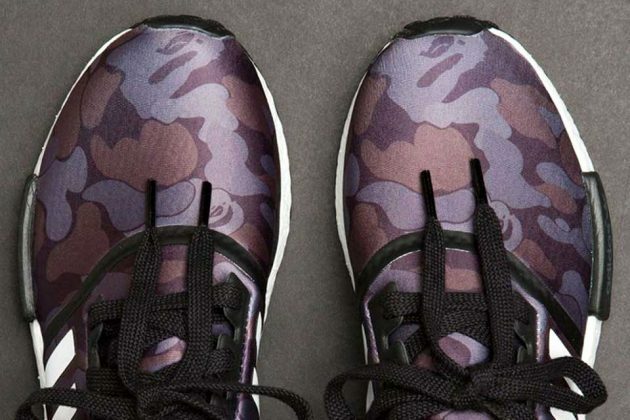 More collab sneakers for you. 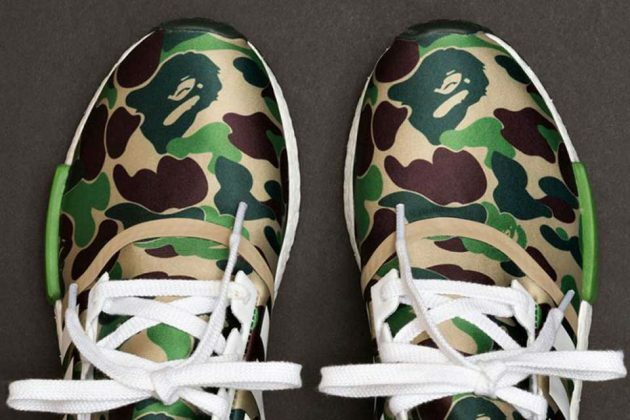 This time this pair is born out of a collaboration between A Bathing Ape AKA BAPE and Adidas, and the result, as you might have guessed, are Adidas kicks dressed in the very recognizable BAPE camo. 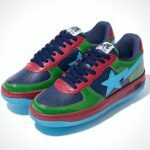 Boy, are they beautiful. 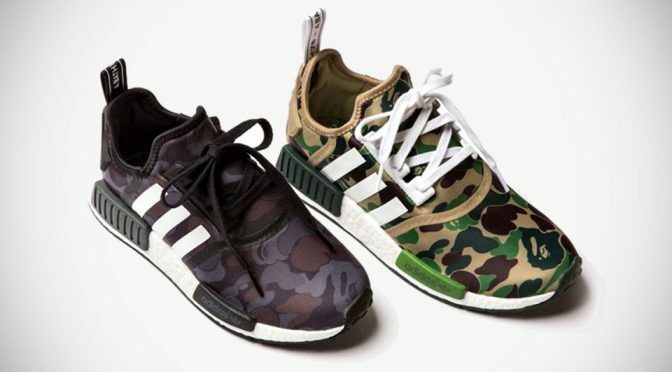 Dubbed BAPE x Adidas Originals NMD-R1, the sneakers is offered in two colorways: Olive and Black/Grey and as far as looks go, it retains the familiar lines of the NMD-R1 with the signature triple stripes but with added accent of green or grey, depending on the camo tone. 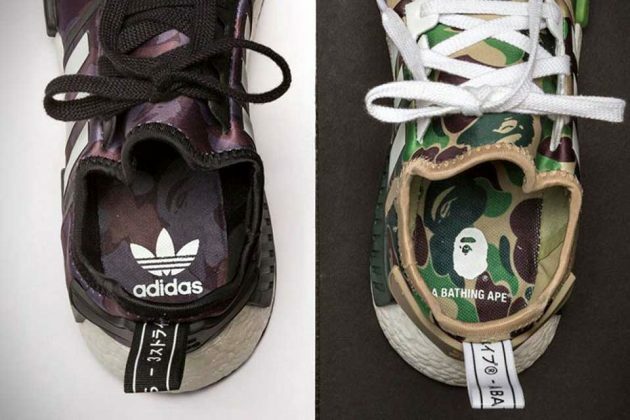 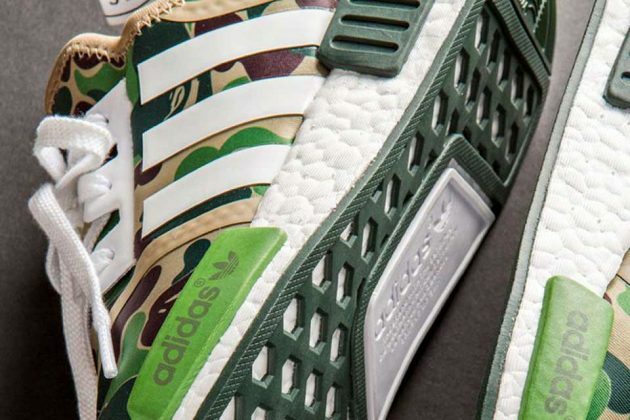 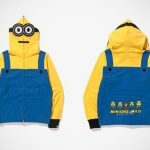 Other details include Adidas BOOST sole with, again, either green or black sole bottom depending on the camo tone, BAPE and Adidas branding on the insole – one on each foot, and finally, more BAPE branding can be found on the heel tab. 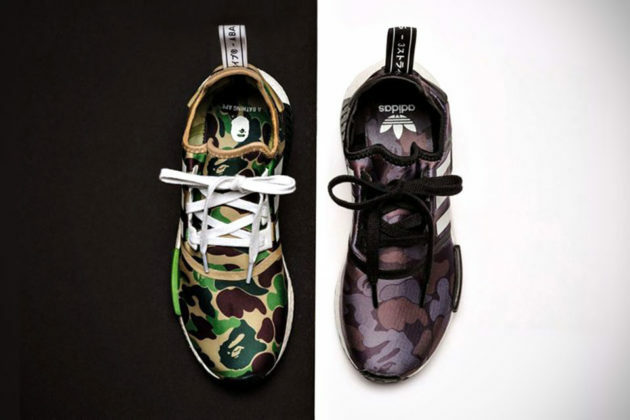 Overall, its an interesting and if may say, a beautiful take of the NMD-R1 but as delightful as it is, it does come with a slightly heftier price tag over the regular NMD-R1, at $150 a pair. 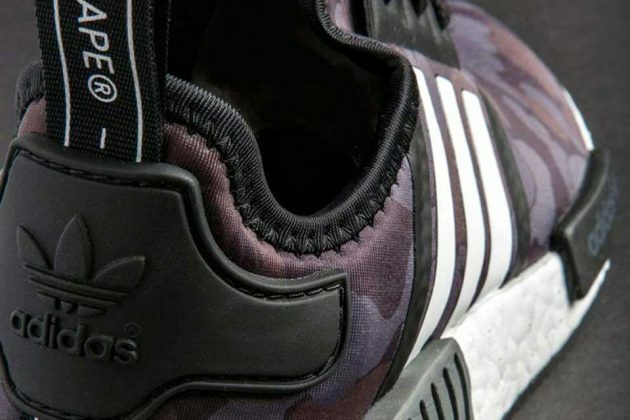 BAPE x Adidas Originals NMD-R1 Sneakers is expected to available starting November 26, 2016. 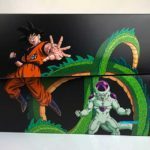 Scroll down for a few more look.